Interni restaurant undoubtedly possess the most beautiful garden in Matogiannia. 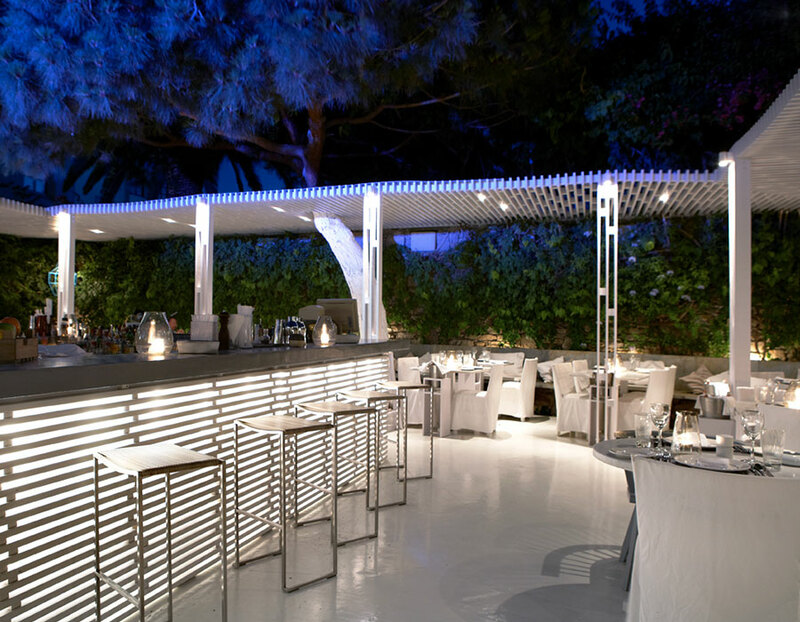 It is the most enduring value on Mykonos islands when it comes to high requirements. The perfect spot in the town not only for dinner but also for drinks, too. Mediterranean cuisine mainly but with international influences. The menu gets updated every year. A unique place where you also can organize and host important events.